A file restore virus is a confusing type of virus that tricks users into thinking that it has found issues with a computer. File restore viruses may perform a bogus scan before informing users that their computer is filled with thousands of viruses and other problems. In order to fix these problems, the file restore virus may demand a hefty payment. Our recommended solution is to download and install the Repair Tool. This tool has been designed to remove file restore viruses while simultaneously maximizing PC performance, optimizing memory, and improving computer security. Recommended: To remove a file restore virus, use this software package: PC Cleaner Pro. This repair tool has been proven to remove file restore viruses with very high efficiency. Why do file restore viruses attack PC users? Well, the people who create file restore viruses are usually trying to make money by scamming users. File restore viruses convince users that their computer – which may be perfectly healthy – is actually infected with viruses and filled with PC slowdowns and other serious problems. Some of these problems may be labeled as critical repair issues while encouraging the user to act fast. To make matters worse, file restore viruses may also flood the system with pop-ups and prevent users from accessing important Windows functions – like the Task Manager or Start menu. When this occurs, you know that you have a file restore virus. To protect your PC, you’ll want to remove that virus as quickly as possible. 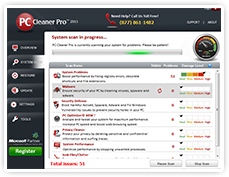 PC Cleaner Pro will scan your system for file restore viruses and other malware problems. PC Cleaner Pro is also designed to point out areas of the PC that can be fixed in order to improve performance or security. With a single click, users can fix all of these problems and instantly maximize their PC’s speed and security. Whether you’re learning how to remove a file restore virus or simply wanting to make your PC faster, PC Cleaner Pro aims to be one of the most useful software programs on the market today.